‘Screaming at the Sky’ follows an engineer and his daughter as they play their part in the completion of a 1000-year-old project, and try to make contact with life off-planet. I always feel drawn to stories about life in our universe and mankind’s place in it. The idea of pushing beyond our own world and successfully reaching out to those elsewhere, I find incredibly exciting. This story is all about having the determination and passion to follow through with such a mission, even knowing the end-result likely won’t take place within your lifetime. I’m thrilled to see it find its home with Helios Quarterly Magazine: Volume 4! 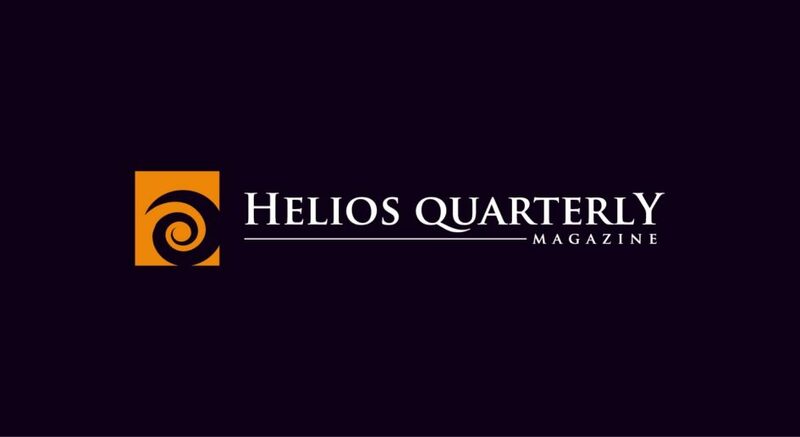 Helios Quarterly Magazine is an imprint of AURELIA LEO, an independent publisher and bookseller. Launched in August 2016, Helios Quarterly Magazine publishes horror, science fiction, and fantasy as a quarterly periodical. Great to see this story publshed – more please! Such a simple but powerful message. Loved the unfolding of the story and the relationship demonstrated between the father and daughter. Brilliant touch letting her trigger the initiation of the transmitter coming to life.